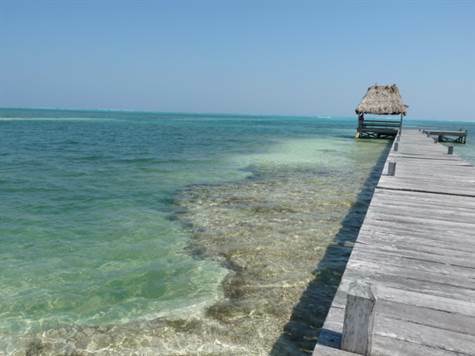 Ambergris Caye, Belize - Everyone dreams of buying a piece of beachfront in the Caribbean and building their own dream home. If you buy this ocean front lot the dream could be yours! This spacious property has 81' of beachfront x 215 deep (with beach reserve) to give you plenty of room to build your large estate home. Can you imagine the sunrise from your vernanda? Swimming in your personal pool? Drinks at sundown? Just 3 1/2 miles from the center of San Pedro Town in a great area of newer homes. What makes this lot even more attractive then just its location is that it already had a seawall in place, it is filled, PLUS it has a 300' pier so you can keep your water toys literally in your front yard.